Putzmeister was founded by Karl Schlecht in 1958. Today it employs 3,900 people that produce more than $ 1.5 billion in annual sales in 154 countries on 5 continents, name and logo and color be damned. Wal-Mart may have the dumbest name in the history of the world. “My name is Walton, so I’ll call the store Wal-Mart.” Really? And yet he became so rich that just six of his descendants are worth more today than the combined net worth of 30 percent of our nation. That’s right, a tiny company begun in 1962 with an idiotic name and a drab logo and an unimaginative color scheme became the most successful retail empire in the history of the world in less than 30 years. Product and company names are words that carry conscious and unconscious associations. They absolutely matter. But what matters most of all is what matters to the customer. Customers who buy from your competitors aren’t choosing your competitors because they have better logos. Your problem is something else entirely. Customers care about things like products and procedures and policies that might affect them. They care about your offers and assurances. They care about the experience you create for them. Will your prospective customer be glad they chose you? Yes? How are communicating this? What do you offer as evidence? Testimonials are suspect. Bold promises sound like Ad-speak. What are you doing to give your prospective customer real confidence that choosing you is the right thing to do? If you’d like to talk about how to take your company to the next level for real, my partners and I are ready. Are you? 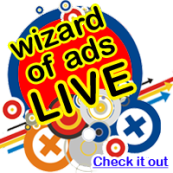 If you’re a person who is interested in marketing and would like to expand your skill set, Wizard Academy was built for you, for today, and for the challenges you’re about to face. Come. It’s time for you to rise up to your full height. You, we, have work to do. Thanks for this. I had to laugh when I saw Karl’s last name. On top of founding Putzmeister, his last name is German for the following words depending on context: bad, lousy, poor, decayed, wicked, evil, foul, stale, sinister, vile…you get the idea. Talk about being born into bad branding names!